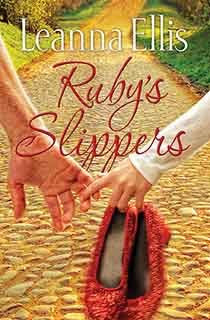 "When Dottie Meyers loses her ‘no place like home' during a Kansas tornado, she wakes up to find a pair of ruby slippers left by her father who abandoned his family thirty years ago. With her sister hot on her trail to find the treasured ruby slippers, Dottie travels a yellow brick road with three friends to find her father. No wizard can solve her problems. Only the love of a heavenly father can heal her wounds and give her the desires of her heart."